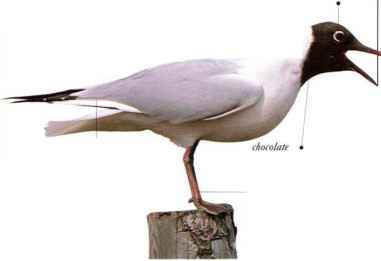 Common in coastal areas of North Amcrica in summer, this gull is recognized by its very dark "hood." 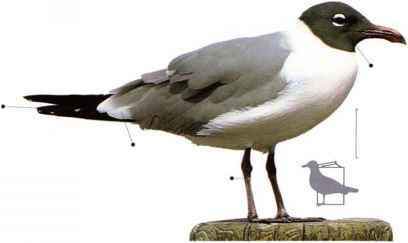 It is boldly inquisitive, feeding wherever the opportunity occurs: it follows the plough to pick worms from the soil, scavenges for whatever is washed up on the shoreline, and follows ships for refuse and food scraps. 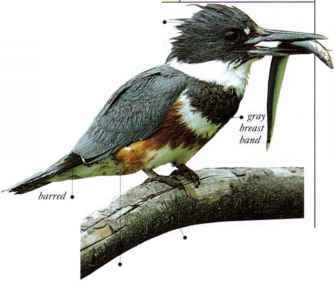 Breeding colonies arc located in marshes, by seashores, and on offshore islands. • NRST A cup nest made of plant material, located among tall plants or bushes. • Distribution Breeds in e. and s. usa and the Caribbean. Migrates as far south as Peru in winter.